English Championship is as exciting as ever, with a number of teams hoping to get a promotion at the end of the season. Two of those certainly are Sheffield United and West Bromwich Albion. Therefore, these two are direct rivals in the battle for a move to the Premier League. And this means that their duel is bound to be an exciting one. They met tonight at Sheffield’s Bramall Lane and if you would like to bet on this match, make sure first to read this Sheffield United vs West Bromwich Albion prediction! Right now, Sheffield United are at the 3rd spot, with one point more than their next opponent. But, they don’t just want to stay there; they want to move upwards. Finishing the season on one of top two positions means getting promoted without playing the play-offs. Because the competition is huge in the Championship, Sheffield United must not let their form drop. Speaking of their form, it’s pretty good, even though they did lose to Leeds on the first day of December. And that game was played at their turf. Actually, playing at home doesn’t seem to be a major advantage for this team. In fact, they’ve won more points on the road than they have at their stadium. But, it wasn’t always like that. Last season, for example, they won 12, drew 5 and lost 6 in 2017/2018 season. That said, it’s fair to expect that their home form is going to improve in the near future. The question is will it start this Friday? Last season, West Bromwich Albion played in the Premier League and would like to get back there right away. They’re now on the 5th place, but the season is long and anything can happen before the end of it. This means that they need to do all in their power to stay so high. And this means that getting a good result on Friday is a must. Considering that their recent run has been pretty good, they have every right to hope for some points in Sheffield. This team won 3 out of 5 previous games, losing none along the way. Still, those two draws happened in the previous two rounds, when they played at home against Brentford and Aston Villa. A good thing about those matches is that they scored in every one of those. In fact, their attack has been really great this whole season. 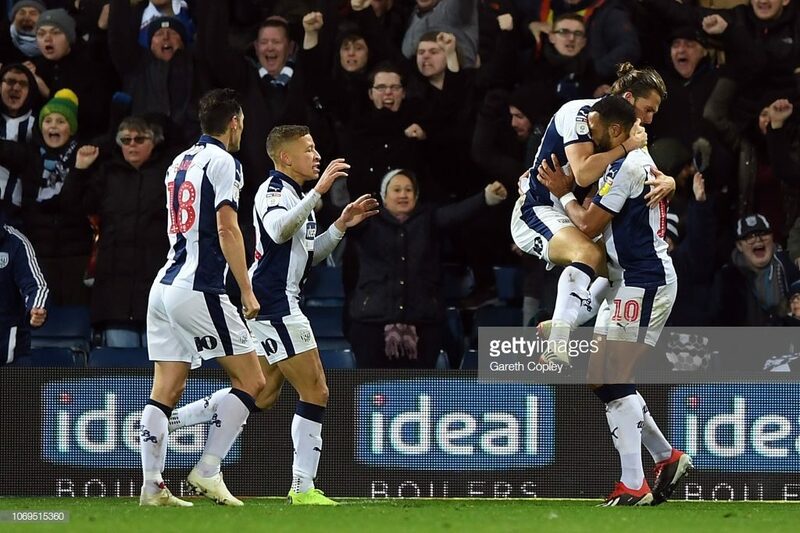 With 44 goals after 21 rounds, West Bromwich Albion is the team with the most goals scored of all the teams in the Championship. The best thing about their attacking strength is that it comes from several players. Gayle and Rodriguez have scored 10 goals each, while Barnes has 2 goals fewer. This means that Sheffield United are going to have to protect their net from all angels. I think WBA are the better of the two, but this doesn’t mean Sheffield United are bad. This is why I’m not 100% sure we’ll see an away win here. Still, I doubt the hosts will win it. Double chance X2 is my betting tip.